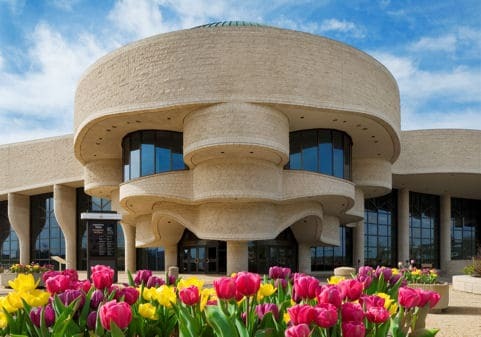 In addition to its ongoing exhibitions, including the spectacular Grand Hall and First Peoples Hall, each year the Canadian Museum of History presents a number of outstanding exhibitions focusing on Canadian and world history and civilizations. These exhibitions include those developed by the Museum as well as many produced by other Canadian or international institutions. The Museum is also home to the Canadian Children’s Museum, a 500-seat theatre and the CINÉ+, a 295-seat movie theatre equipped with a giant 3D screen and a giant dome. Online, the Canadian Museum of History presents a number of excellent virtual exhibitions, including the Virtual Museum of Canada and the Virtual Museum of New France.